Ashley is the author of Thoughts and Reviews I thought it would be great to share Ashley's Gaiam Experience with my readers. Thank You Ashley - for being a guest on my blog! About Gaiam: Gaiam was founded in Boulder, Colorado in 1988. 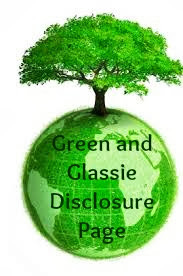 The company is a provider of information, goods and services to customers who value the environment, a sustainable economy, healthy lifestyles, alternative healthcare and personal development. Gaiam (pronounced “guy-um”) is a fusion of the words “Gaia” and “I am”. Gaia, mother Earth, was honored on the Isle of Crete in ancient Greece 5,000 years ago by the Minoan civilization. This civilization valued education, art, science, recreation, and the environment and believed that the Earth was directly connected to its existence and daily life. The concept of Gaia stems from the ancient philosophy that the Earth is a living entity. At Gaiam, we believe that all of the Earth's living matter, air, oceans and land form an interconnected system that can be seen as a single entity. The word Gaiam represents planetary awareness, preservation and support of the interconnectivity of all living things. By nurturing, protecting and respecting our planet, its natural resources and its inhabitants, we enrich our own lives and those of future generations. You can read more about Gaiam here. Gaiam sent me Deluxe Organic Flannel Bedding in queen size and “natural” color. About Deluxe Organic Flannel Bedding: These sheets are 100% organic cotton, made with low eco-impact dyes and they are finished without harsh chemical softeners or chlorine. The 6 oz. after-wash luxury weight flannel is brushed on both sides for never-want-to-get-out-bed softness. They are yarn-dyed, for a long-lasting color and with low eco-impact dyes. They are pill resistant. The sheets are Eco-Tex certified. Eco-Tex Standard 100 is the world's leading human ecology product label for textiles that have been tested for hazardous substance content. Textiles carrying this product label have been tested and approved for certification by internationally renowned textile institutes. My Review: Living in New York, the winters are horrendous, so staying warm is very important. One of the ways that you can easily do that is by having a good set of sheets. Specifically, flannel sheets. My mother brought it to my attention that the flannel sheets that she had owned had been ruined in our move to the house that we live in now. Therefore, I went on a search for flannel sheets and that is when I came across Gaiam’s Organic Flannel Sheets. They were so wonderful when they agreed to send me the flannel sheets and pillowcases. When you purchase these sheets from the website, you will purchase them individually, so you will have to buy the fitted sheet, top sheet and then the pillowcases separately, as you cannot purchase them as a set, per say. We selected a natural color for the sheets and in queen size, for my mother’s bed. They do have a variety of sizes and they have a few different colors. There is a nice selection of neutral colors, so most likely you will find a color that will match your bedding. The "natural" color we picked out is a cross between cream and an off-white. It's a soft color and we're very happy with the selection. When everything arrived, my mother was in a hurry to get them washed and put on her bed. Washing them, you have to be very careful to avoid shrinkage. We chose to wash them on a gentle cycle and dry them in low-temperature heat. However, they did wash and dry nicely. Putting them on the bed, they fit very well. The first night my mother slept in her bed with the new sheets, she said it was heavenly! The sheets felt very warm and comfortable. They were definitely the type of sheets that would make you not want to leave your bed. They were cozy you felt like you could just wrap up in them and lay in bed forever. The products were shipped very quickly to me! I was surprised at how fast they showed up at my doorstep. Overall, we are very happy with the sheets that we picked out. I know we will use them for years to come. They are definitely a quality sheet, so I think they will withhold a lot of washing very well. I would wholeheartedly recommend Gaiam as a company, as they have great quality, they’re super friendly, they ship quickly and they make products that make you feel like they truly care about their customers. If you are in the market for a new set of sheets, you should definitely check out Gaiam’s Flannel Bedding. I guarantee you will not be disappointed. You can find Gaiam on Facebook, Twitter and Pinterest. I have never slept on flannel sheets and I am up in Boston, so our winters are just as cold. I need to try those. I love flannel sheets. So comfy! Flannel sheets are my favorite. It feels like you're in a pair of the comfiest jammies ever! Awe, flannel makes my skin breakout. That's such a bummer, because these look awesome! Thanks so much for allowing me to guest post. :) These are truly awesome sheets! I have a set of flannel sheets because the winters in GA have been really weird lately. They do keep me cozy! Flannel sheets are my favorite! I will be checking them out! Every winter my mom would change all of ours sheet to flannel sheets. I use to love sleeping on them. Having used flannel sheets moving out on my own though. I could have used them this winter, it was so cold. Those sound like great sheets. I haven't had a set of flannel sheets in forever! I thought the name seemed familiar. We need to respect Gaia more and stop killing the planet! these products are a great first step! Oh I love sleeping on flannel sheets. I have so many sets of them, but they're just cheap ones we pick up at Target. I'll have to get these for us. Great review! We sleep on flannel sheets and a few years ago I splurged on better sets for both of my children. The difference is amazing. I wanted them to have comfort and warmth and for us to have value as well. I want to try the Gaiam sheets too! I have been looking for a good set of flannel sheets for my parents who live in Wisconsin. These seem like they would be perfect and great quality. I have slept on flannel sheets and I live in Texas, our winters are cold but not enough to always have them on the bed. I do love them as they are very very comfy. .
We have flannel or fleece sets for each of our beds times 2. We don't keep the upstairs super warm and NEED nice warm sheets. These look to be fantastic! I had no idea that Gaiam made bedding! I've always known them for their Yoga gear. I'm not sure how my husband would feel about flannel bedding but I would be totally down for it, Who doesn't love comfortable bedding?! Gaiam has such awesome products, but I didn't realize they even made bedding. This sounds really great! I could use flannel bedding, it's still so cold here! I love fleece bedding! So warm and cozy and I love that this is free of dyes. I absolutely love flannel bedding, it's all I use! This organic flannel bedding looks so soft and comfortable! I have never had flannel bedding before, but every winter, I wish I had it! I live in FL, so I have never slept on flannel sheets. If I lived up north in the cold, I'm sure I'd try them. I love flannel sheets - they are so comfy! I never had organic flannel though. I love flannel sheets. I can only imagine the softness with the organic ones! I love flannel sheets, especially in the wintertime (even here in AZ)- They're so soft and cozy! I'd love to try organic flannel!